Meg Christian graduated from the University of North Carolina, was born in 1946 in Lynchburg, Virginia. 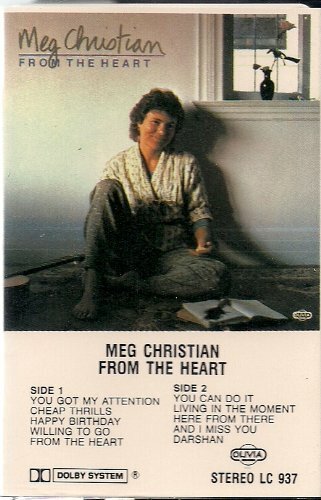 Meg is an American folk singer was a pioneer of the Women’s music movement beginning in the 1970’s. She moved to Washington, D.C. in 1969, where she performed in nightclubs and began writing material from a political and feminist perspective. She was a founding member of Olivia Records, whose first album was her debut as an artist. A particular song that is very relevant to those thousands of women (and men) missing as a consequence of intimate partner homicide and related crimes is called, “And I Miss You.” To Ladyjustice, this song touches the soul and speaks to the value of the person who is no longer in your life, (whether through an ending relationship or loss of life). The best known non-profit missing person’s organization on the East coast which is continuously endorsed and in collaboration with Imagine Publicity staff and clients, is the Cue Center for Missing Persons, which is founded and managed by Ms. Monica Caison. The KlaasKids Search Center offers a highly trained search manager to assist in organizing a community search effort on behalf of a missing child. The Search Center will respond to child abductions when we are contacted by a family member of the missing child or by the jurisdictional law enforcement agency. We will provide on-site assistance in organizing a volunteer search effort while providing liaison with law enforcement, the community and the family. You can contact the KlaasKids Foundation Search Center by emailing klaaskidssearcher@yahoo.com. Brad Dennis is the Director of Search Operations for KlaasKIDS Foundation’s National Search Center for Missing Children. He has over twenty years of experience in search and rescue and disaster response. He has managed search efforts for over 60 missing/abducted children around the country including, managing the search following the abduction of Polly Klaas. He has instructed thousands in search and rescue procedures, teaches seminars nationwide, and is an instructor for the National Association of Search and Rescue (NASAR). He serves as a NASAR Coordinator for the Search and Rescue Technician program and their K-9 certification program. He has completed numerous search management, law enforcement investigative and forensics training courses. He authored the “Predatory Abduction Search Management” course offered to law enforcement agencies. He is a certified SAR Manager/Incident Commander, K-9 Evaluator/Handler, Victim Advocate and Search and Rescue technician and serves as Co-Director of Gulf Coast Search and Recovery K-9’s, Inc. in Pensacola, Florida. Mr. Dennis retired from the U.S. Navy as a Master Chief Petty Officer. Command Search Centers are offered by furnishing a building where all volunteers can meet to execute searches; Dedicated phone lines for tips and support as well as flyers and buttons are distributed from these sites; Volunteer Services such as: The retention of dedicated volunteers to help in all aspects in the effort to bring our missing home; Catering for the long hours associated with volunteering is provide. A well fed and comfortable volunteer is one who will stay for the long haul; K-9 search dog teams, are available for all searches; Transportation for volunteers and equipment is included; Nextel Cellphones are used with the 2-way feature for use in the field; Database Management including: Every case receives web space on our database; .From the site, additional fliers and posters can be printed, as well as other tools such as e-mail signatures and banner html codes that can be retrieved to place on other sites; Operational Materials for Staff MYF provides: 1-2 laptop computers with wireless capabilities to staff for use in the field; A person will man the corporate office while searches are being conducted for quick access to crucial information uploads and downloads for media releases. Media Collaboration: MYF acts as a liaison between family members and the media to obtain the coverage needed during the crucial periods in which the family wants to be sheltered and still provide valuable updates to media representatives. H.B. 6113 An Act Concerning The Investigation of Missing Adult Persons Reports as a major step toward protecting missing and endangered adults. The bill requires police departments to accept all reports filed of all missing persons age 18 and older without delay and to input all collected information into appropriate databases in efforts to locate them. Last year, Congressman Chris Murphy and Poe worked together to secure House passage of the bill, but it was not approved by the Senate. Connecticut Senators Joe Lieberman and Richard Blumenthal will introduce the bill in the Senate. “By authorizing the National Missing and Unidentified Persons System, Billy’s Bill will provide these families with a comprehensive resource that will help them to locate loved ones who have disappeared and, in those unfortunate circumstances; provide them a sense of closure,” said Lieberman. The legislation helps to streamline the reporting process for law enforcement and medical examiners by connecting two major federal missing persons and unidentified remains databases- the FBI’s National Crime Information Center (NCIC) and the NamUs. Connecting these databases makes them more comprehensive and more likely to lead to a match between a missing person and unidentified human remains. “Billy’s Law” also creates an incentive grants program to coroners, medical examiners, and law enforcement agencies to help facilitate the reporting of missing persons and unidentified remains to the federal databases. 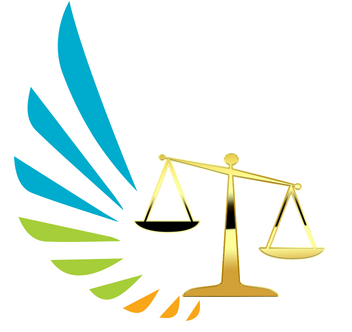 Grants can also be used for training programs on how to correctly use the databases and best handle these cases, and the recipients of these grants must provide a dollar in matching funds for every two dollars in federal funds. “Billy’s Law” builds upon Connecticut’s 2007 Law Enforcement and Missing Persons law as it also calls for the issuance of broad recommendations for standards and procedures for law enforcement to follow in dealing with missing persons and unidentified remains. Mission of Let’s Being Them Home: To provide safety education for children and adults as well as critical resources to families with missing loved ones. We offer free, up-to-date, and critical safety education programs for children and adults. With over 25 years of combined experience, our case management team offers critical resources, case management and solutions to families with missing loved ones. Our passion is prevention, but our heart is with the missing. (8) to provide safety education for all ages. And so… there you have it… a list of very worthy pursuits…. It will get you through! Sitting near you in the velvet night….